When a power cord or adapter has damage to the plug or connector, the common solution is to replace the entire unit for fear of electrical problems that might result. There are times, however, where simply replacing the damaged end can be just as effective of a solution. For large RV, Temp Power, and Marine Shore power cords/adapters, replacing the entire unit can be very expensive. Wiring a plug or connector can be a simple and fast solution to fixing the cord. To help you understand the basics of the wiring process, we composed a simple 8 step tutorial for wiring a L5-30R assembly connector (Conntek Part# 60411) to a cord with the outer jacket already removed. The compression nut, helix cone, grommet/gasket are slid on to the cable of the power cord in that specific order. These three items will create a tight grip around the cable and help prevent anything leaking into the connection. If these are not slid on the cable in the correct order, the seal will not work as designed. In this step, the body housing of the connector is slid on the cable. This piece helps shield the internal wires and connects to the terminal housing through three screws. At this point, everything but the terminal housing should be connected the cable. After the terminal body has been slid over the cable, the wires are then inserted into the terminal housing. Insert the correct wire into the corresponding terminal based on the wiring chart above. Secure the wires with a screwdriver into the terminals by tightening the side screws on the terminal housing. These screws will help prevent the wires from becoming loose over time. Once all the wires are secure, slide the body housing to meet the terminal housing and align the screw holes on both. Insert the screws into the terminal housing and tighten them so both housings are connected. We recommend using a screwdriver as the possibility for stripping the screw greatly increases when using a drill. Slide the remaining pieces on the cable (grommet/gasket, helix cone, and compression nut) up to the body housing. Finally, tighten the compression nut with a wrench until secure. Once this step is completed, the L5-30 connector has been fully installed on the cable. 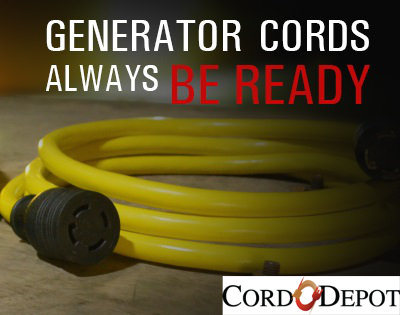 We recommend performing a continuity test before using any newly wired cord. If the wiring process is not followed correctly, severe damage and possibly a fire could result. If you are unsure about any of the steps, you might want to consult a professional electrician or purchase a new unit.